London’s Brexit exodus was supposed to boost the number of finance jobs in Frankfurt. 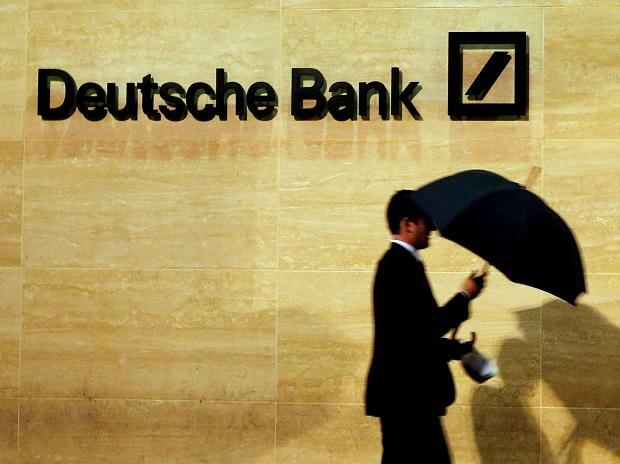 Now, a potential merger between Deutsche Bank AG and Commerzbank AG puts the gains at risk. “In Frankfurt alone, between 4,000 and 5,000 jobs could be cut in a merger,” said Stephan Szukalski, head of the DBV union and a member of Deutsche Bank’s supervisory board. Stefan Wittmann, a Verdi union representative who is on Commerzbank’s supervisory board, said that between 8,000 and 10,000 Frankfurt jobs are in danger. “This is the result of a preliminary analysis that we have made,” he told Bloomberg. Lobby group Frankfurt Main Finance, for example, expects an orderly Brexit to result in 10,000 new jobs in Frankfurt. Helaba, a lender based in the city, sees 8,000 added positions over the years, while the Association of Foreign Banks in Germany puts the estimate at 3,000 to 5,000. Spokesmen for Deutsche Bank and Commerzbank declined to comment. Germany’s finance ministry has pushed for a merger between the two lenders as a way to create a globally competitive national champion. However, the chancellery has been less enthusiastic. Angela Merkel’s chief of staff, Helge Braun, this week said that preserving jobs would be the priority in any government decision on Deutsche Bank -- and that Germany doesn’t necessarily need a global player in finance. Merkel said on Tuesday that it’s up to the banks to decide. As many as 30,000 positions could be at risk if a deal were reached, people familiar with the situation have said.